Motor vehicle drivers are required to obtain a driver’s license and register the motor vehicle under Motor Vehicle Division (MVD) in the State of Arizona. 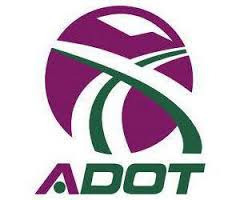 For this purpose MVD has developed their website, ADOT, which provides online services for vehicle title, registration, and obtaining driver license to Arizona residents. The term resident here refers to a number of definitions which include anyone who works in Arizona State, is registered to vote there, has obtained a license or pays tuition fee just the same as any other Arizona resident. Arizona MVD offices can be found in the links above. Arizona Motor Vehicle Division offers different types of driver licenses which are issued by classes. These include Class “G” for graduated class, “D” for operator class, “M” for motorcycle class, and class “A”, “B”, “C” for commercial driving. This license is issued for vehicles that do not require a commercial or motor vehicle license and to people who are between the ages of 16 to 18 years. The minimum age requirement for a motorcycle license is 16 years and it is required to drive any motorcycle or motor driven cycle. This driver license is required for heavy vehicles and the ones that carry 16 passengers or more. The website offers a range of other services online which include issuing a duplicate license or ID card, changing email or address, reinstatement of driver license, renewal of vehicle registration, issuance of different kinds of permits, etc. Arizona MVD website also lists down more than twenty MVD office locations and their timings. It provides an interactive map to stay updated on the wait timings as well, which are revised every five minutes. The website is very comprehensive and easy to use. The interface is simple and understandable. Hence, over all, it is very helpful for people to apply for motor vehicle services online and get the legal formalities processed within time.